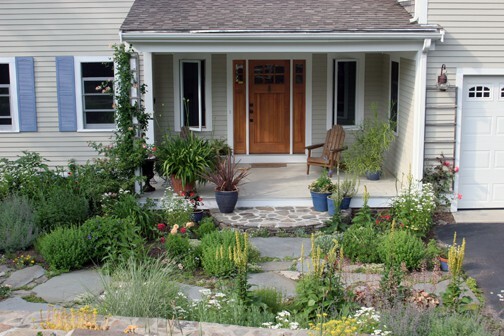 Here’s the best thing about opening your garden up to guests: after it’s over, the beautiful garden is all yours. Today members of the Connecticut Horticultural Society came to Poison Ivy Acres, and they seemed to enjoy what they saw. I, of course, have been a whirling dervish lunatic for the past month. After a great deal of work and some help from friends and fellow professionals, however, it came together well enough for today’s visit. There are many things to be done before the next Grand Tour of PIA next week, however, so I’m not finished yet. After the bus tour left today, the first thing I did was to sit down and ice my hip and knee. Iliotibial Band Syndrome, and yes, I have been overdoing it physically the past three or four weeks. 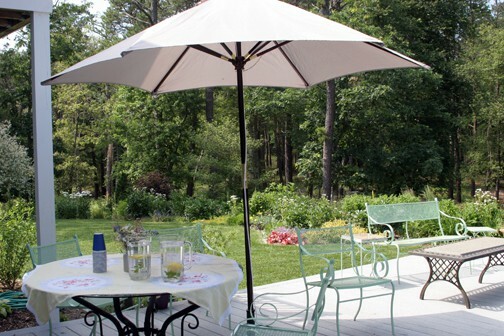 Next, I grabbed my camera and strolled around the gardens. See the photos below. Finally, I put Sweethearts of The Rodeo on the CD player and turned it up loud. Time to celebrate. 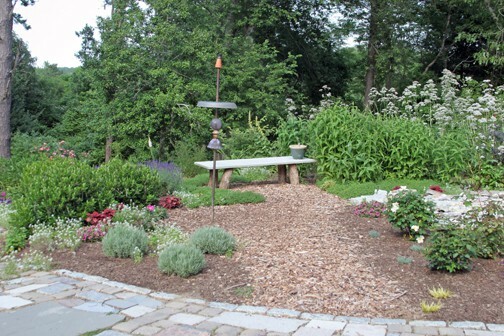 I’ve spoken to many people who have been asked to put their garden on a tour, but they’ve said “no.” Some say that they “don’t want the liability,” while others confess that “it’s too much work.” I think that it’s ultimately a gift to the gardener. The true party starts once the visitors are gone. an the Fragrance Garden has Valeriana officianalis. 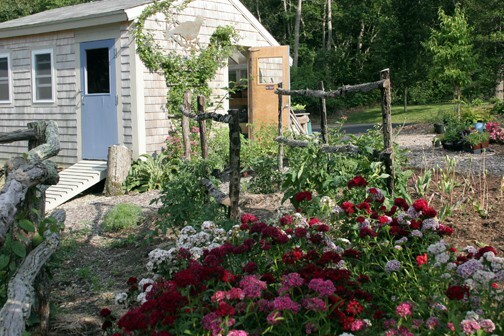 The entry garden is filled with blue, yellow, white, and coral flowers. 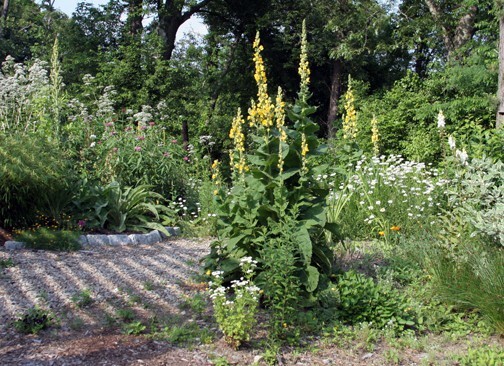 and the most asked about plant was the Verbascum. 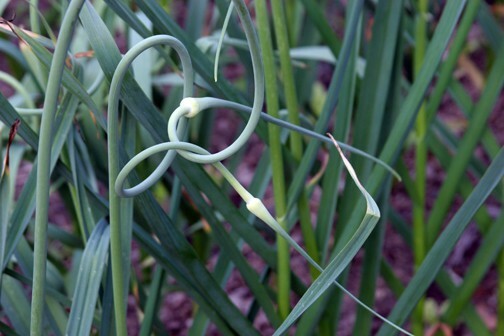 Even the garlic scapes earned notice.